After looking at initial ski season sales tax revenues, Crested Butte town finance director Lois Rozman has seen a big warning light. While conservative budgeting and a tightening of the town’s belt have generally resulted in expenditures and revenues within expectations so far this year, the town’s sales tax collections are down significantly from 2007. Rozman said the town has put a hold on all capital expenditures and all the town departments are running a tight ship. For example, as part of the traditional Arbor Day celebration, instead of giving away aspen trees to town residents as it has for years, the town tree budget will be spent on trees to be planted at Rainbow Park. Any resident who helps plant those trees will be eligible to receive a tree for their property. Parks and Recreation director Bob Piccaro said the tree planting date is to be determined but hopes it will be sometime in late June. While January through March sales tax revenue is down approximately 3 percent from last year, Rozman expressed great concern over a 10 percent drop in March. 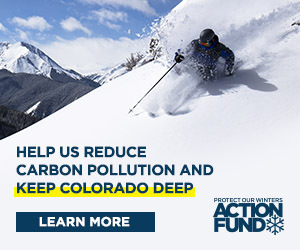 “March is one of our biggest months and to see that month slip is significant, especially when other Colorado ski resorts are seeing increases,” she explained. “Another red flag is that retail sales in town are flat and have been flat-lining for three years. The retail base simply isn’t big enough to help offset these economic downturns, especially when sales tax from construction decreases, which is what we are seeing right now. According to Rozman’s report, the largest budget buster so far this year is no surprise—it is powder. Snow removal costs were up significantly over the budget estimates. In fact, the entire amount allocated for street snow removal for 2008 was $146,000. The town has already spent $210,000 and there will likely be more snow removal as the ski season starts up next November and December. So, what is the most immediate way you can help shore up the town’s ailing financial situation? Members of the Town Council have suggested that locals go shopping. They would like to see residents spend their federal stimulus checks locally rather than somewhere else or through the Internet. That will support local businesses and bring in sales tax revenue for the town.